Probat sample roaster lets us get green from our supplier and roast and taste a small sample before purchase or upon delivery. I love this baby. Mouse over image for lager view. 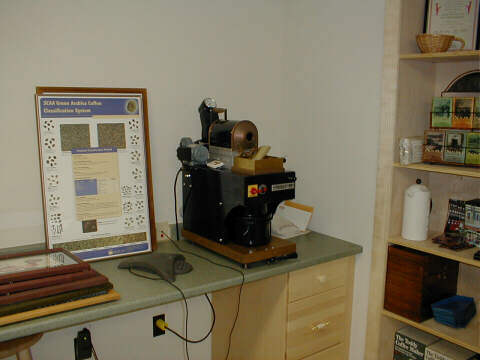 Sample roasters cost $6 to $7,000 installed and only do 1/4 pound so you don't want this for your store. But your roaster should have one.